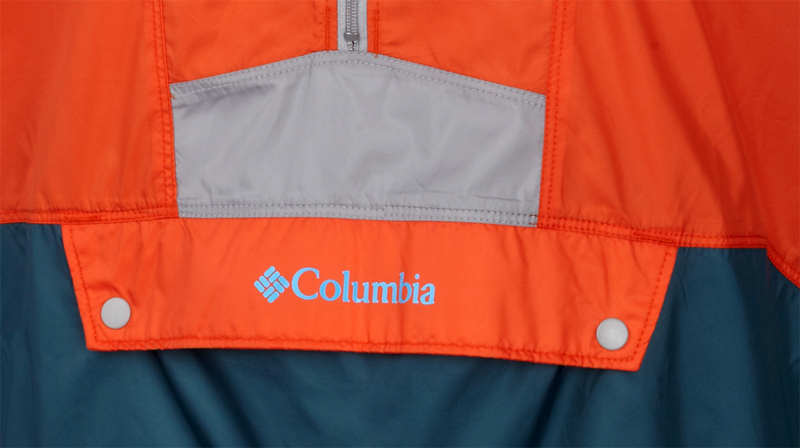 Retro Windbreaker — Direct from a 1992 catalog, Columbia pulled this design and made it new again. I tested the windbreaker for a few days and liked the fit and basic function of keeping you warmer in the wind. The Flashback Windbreaker is not a high-performance piece and is not made to be waterproof or very breathable. But at just $39.99, the Flashback is a fun jacket. I like the “kangaroo” pocket on front and basic wear-anywhere fit as well as the retro look for 1990s nostalgia’s sake if nothing else. 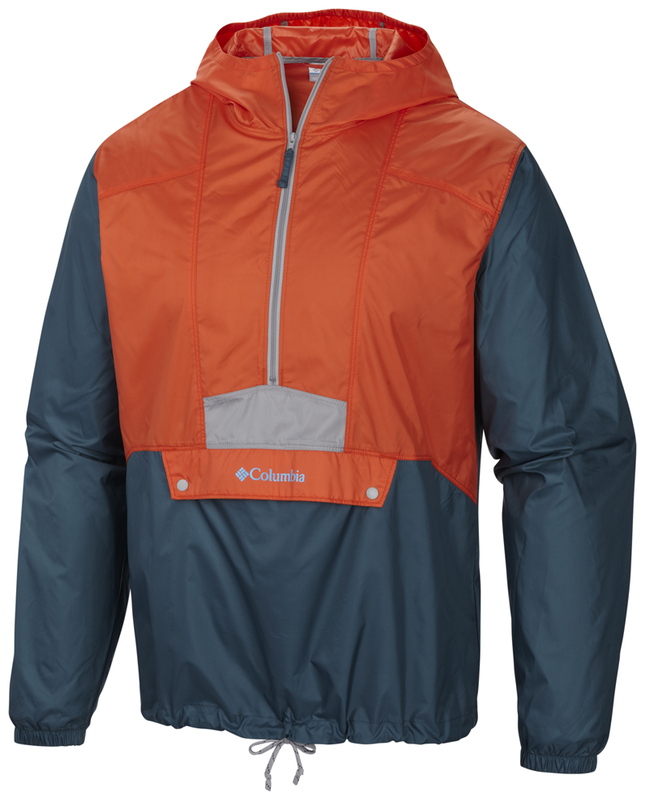 But while it debuted on an Olympic shell Columbia decided to bring the zipper to the masses in 2015 with this $80 raincoat. 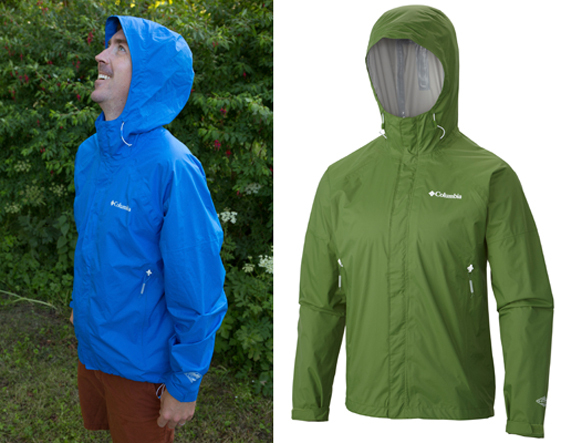 The Sleeker rain jacket comes in men’s and women’s models. 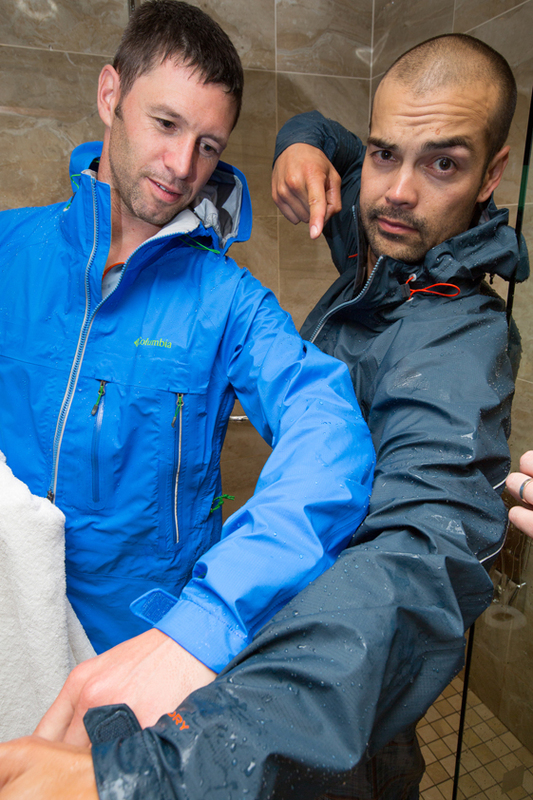 It’s a lightweight and waterproof jacket that fits nice. The LightRail zippers worked well in our test — they slide easily and are so low-profile as to hardly be there. When you sit down the jacket does not burst out like many shells can — the super flexible zippers act like seams in fabric, allowing the body of the jacket to flow comfortably as you sit, hike, or stand. 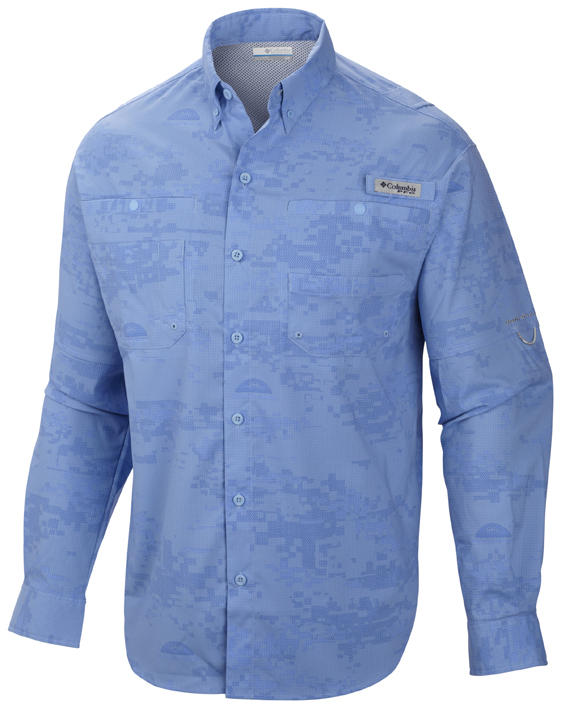 Fishing Shirt Has ‘Solar Camo’ — It’s sold as “sun-activated camouflage,” and what this fabric does is change color and pattern when hit with UV light. 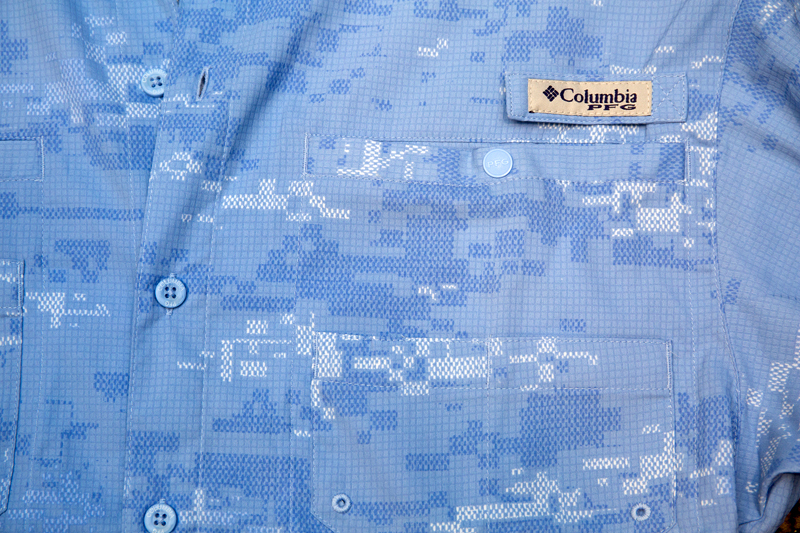 Columbia is marketing a shirt called the Solar Camo to “help anglers blend into their surroundings while fishing” by breaking up the pattern and making a person standing in water with a pole less seeable by a passing fish. We’ll need to get in the water with a rod to test out the theory. But we did try the camo function, heating the shirt with a hair dryer and watching as the solid blue turned blocky and “camouflage” before our eyes. The Solar Camo comes in men’s and women’s designs and costs a hefty $140. Beyond the color-change feature the shirt is a performance wicking piece with 40UPF sun protection. 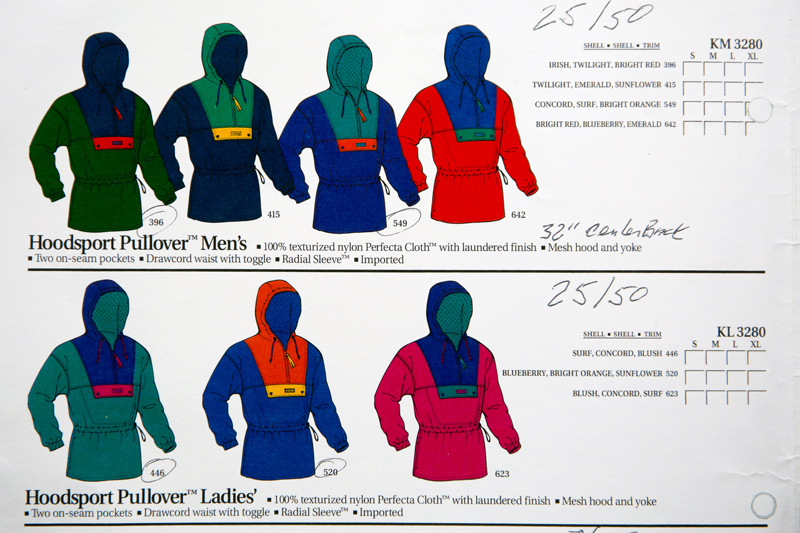 It is made of polyester and good looking enough to wear out of the water as well as hip-deep casting a line. ‘Loch Lomand’ Shell — I wore this uber-raincoat on an hour-long hike in a downpour. My shirt was dry underneath after I got back, and the breathable shell managed sweat and heat buildup from the walk. 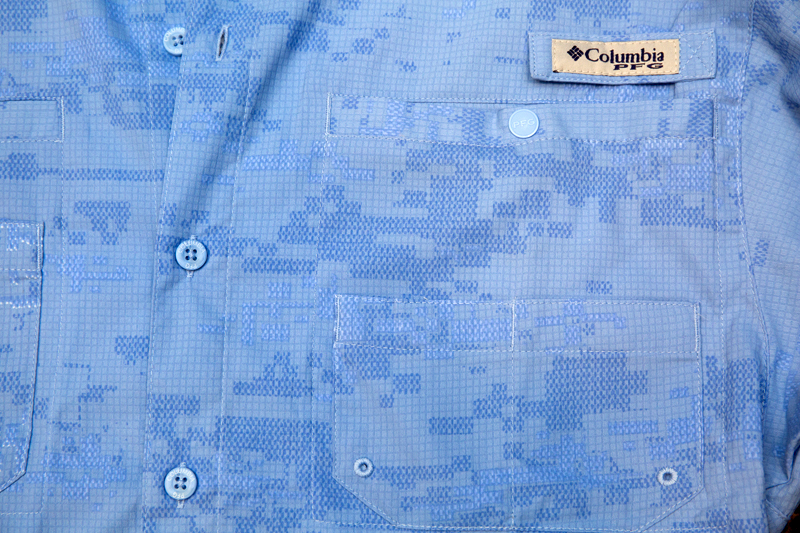 Columbia made the Loch Lomand to be a top-shelf spring/summer/fall shell. It costs a premium $275. It fits and looks like a winter jacket, and it has a three-layer material build with a breathable membrane. 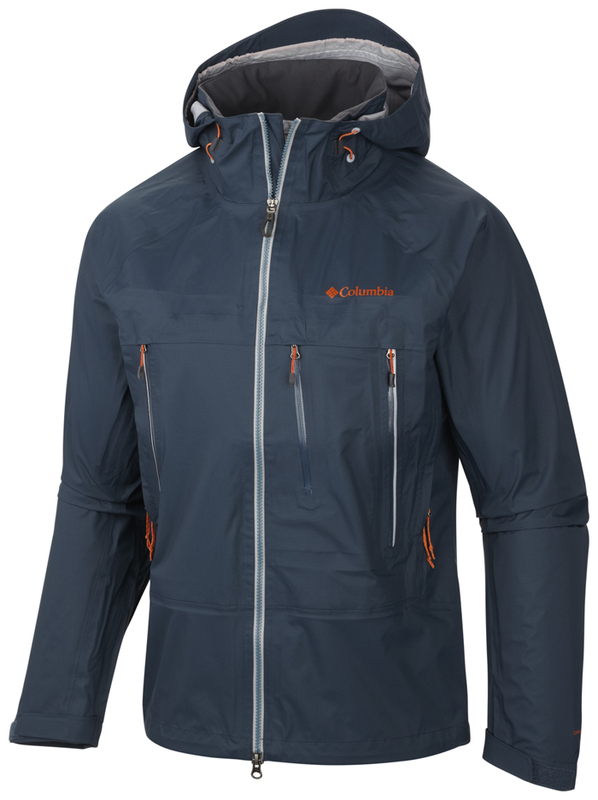 But despite the alpine-shell look, the jacket is thinner and lighter than what most people wear in the snow. It rolls up small for carrying on a hike. Once on, you’re going to stay comfortable and dry no matter the rain. —Stephen Regenold is editor of GearJunkie.